Businesses come in all shapes and sizes. 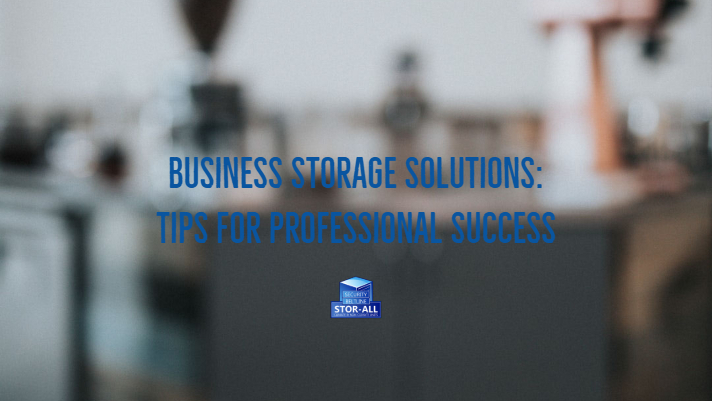 No matter what you do or where you work, your business is going to accumulate items that can be sent to storage. The type of business you have will give you some idea of what kind of storage solution you will need. Maintain your business’ success by following these tips. That unused meeting room is perfect for storing boxes and old office chairs, right? Wrong! What if you are hosting clients or need to hold a meeting, where is everyone going to sit? Boxes stacked to the ceiling are only an accident waiting to happen and will make you look unprofessional and disorganized. Securing the right storage unit will help your business achieve its potential success. First, think about what you have and how you want it protected. Important documents and files will need to be protected from extreme temperatures. Securing a climate controlled unit will help keep everything damage free and dry. A non-climate controlled unit is perfect for storing large items that are not temperature sensitive. Both of these units also allow for quick access. Once you have found the right storage unit for your business needs, you can begin the task of storing nonessentials. Nothing could be worse than clients encountering a cluttered office. Boxes filled with important papers, unused office furniture and equipment can also limit the functionality of your workspace. Storing what you don’t use often will give the appearance of a more professional space. One of the main goals of a business is making money, but sometimes you may end up spending more to secure a little. A storage unit is an excellent way to help cut your overhead that can take away from profits. Eliminating the cost of a warehouse adds a considerable amount to your bottom line. Many entrepreneurs find that storing unused office equipment and paperwork in a storage unit saves on rent expense. If you have a successful business, chances are there is someone out there who wants to take what you have. At Beltline and Security Stor-Alls your belongings will be locked away securely. They are accessible with a passcode and you will have 24-hour access to your unit. We also accept business deliveries as well. Storing your essential items with Beltline and Security Stor-Alls will give you the peace of mind everything is in a safe place. A storage unit will not only help your business thrive but can give you that edge you need. Reserve your unit today, and you will be on your way to operating and owning a more successful business. We have units from small to large, that is climate controlled. You may only need us for a few months, or you may find that our units fit your long-term plans. Give us a call or see us, and protect your treasures! 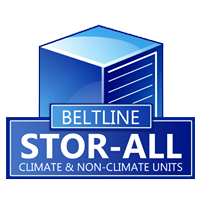 Beltline and Security Stor-Alls are located in Mobile, Alabama for all of your storage needs! Check out Beltline and Security on Facebook, or visit us online at www.StorAlls.com!